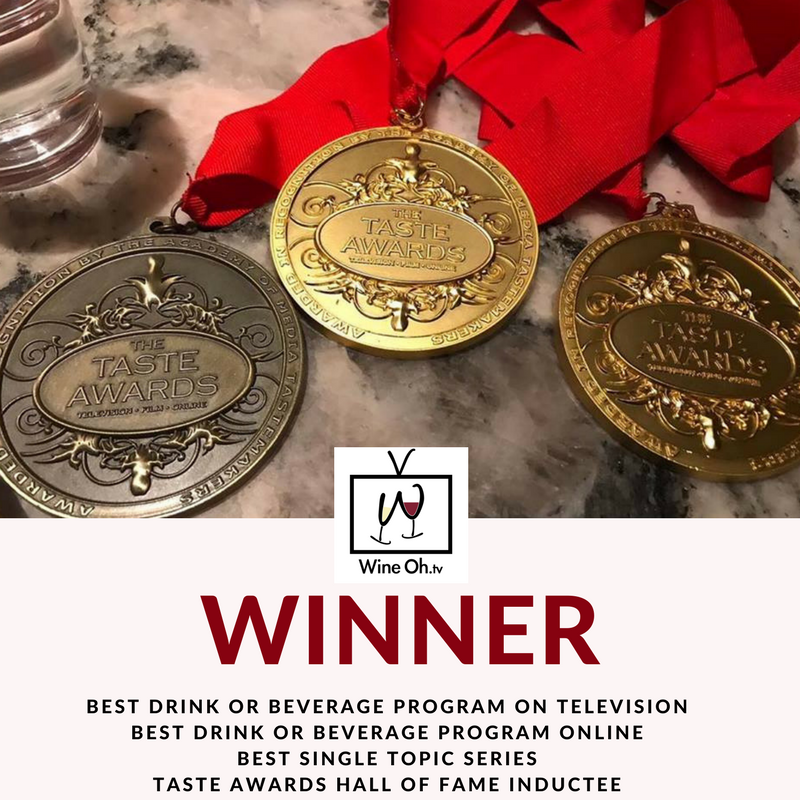 Wine Oh TV won every category it was in and was honored with The Taste Awards for BEST DRINK OR BEVERAGE PROGRAM ON TELEVISION, BEST DRINK OR BEVERAGE PROGRAM ONLINE, BEST SINGLE TOPIC SERIES, and has been INDUCTED INTO THE TASTE AWARDS HALL OF FAME. 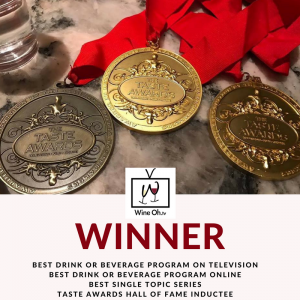 “I can’t thank you all enough for watching Wine Oh TV, being guests on the show, and for your continued encouragement,” said Wine Oh TV’s Monique Soltani. “I would also like to thank The Taste Awards for this honor, my fabulous teammates in Italy Mixis Produzioni and Granvia Società e Comunicazione and all of Wine Oh TV’s sponsors. 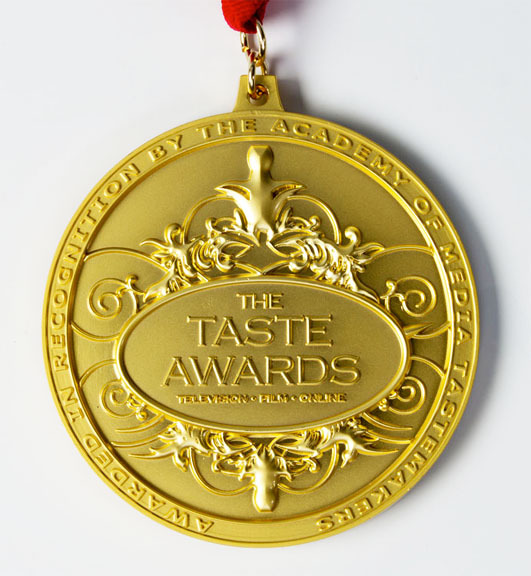 The TASTE AWARDS is hailed as the highest awards for creators, producers, hosts, and directors of Lifestyle Programs, Series, Shows & Cinema. Also known as the Tasty Awards, they are the premier broadcast awards show celebrating the year’s best achievements in Food, Fashion, Health, Travel, Sports and Lifestyle programs on Television, in Film, in Online Video, and in Apps, Radio, Podcasts and Photography. In February 2017, Wine Oh TV debuted on Comcast Hometown Network. Comcast Hometown Network (CHN) is available in Northern California, Central California, and Santa Barbara County on Digital Channel 104. Available to more than 2 million homes in California as a part of Comcast’s commitment to the communities that it serves, Comcast Hometown Network is a 24/7 channel that includes original programming and unique local content that you can’t get anywhere else. In September 2016, Wine Oh TV launched their show on Amazon Prime Video. Amazon is home to award-winning original shows like Transparent as well as popular television shows and movies. Prime Video is a video streaming service available for Amazon Prime members. Wine Oh TV partnered with Xumo in November, 2016. Wine Oh TV’s channel on Xumo is available to watch on millions of smart TVs around the world. Based in Irvine, California, the joint venture of Myspace parent company Viant and Panasonic was started in 2011. Find XUMO on Channel Plus on LG, Magnavox, Panasonic, Philips, Sanyo and VIZIO smart TVs. Wine Oh TV with Monique Soltani is a fun, fresh and informative syndicated wine, travel and lifestyle show. Watch Wine Oh TV on Comcast Wednesdays at 8:30PM. Also Available on wineoh.tv, Amazon Prime, Roku, and Smart TV’s! Monique Soltani is an award-winning journalist with a Bachelor of Arts in Broadcast Journalism and American Studies. Monique has reported for The Weather Channel, KPIX-TV (CBS), KNTV-TV (NBC), KSEE-24 (NBC), KGTV-TV (ABC), KPVI-TV (NBC) and has worked as a producer and a radio broadcaster. Monique is an experienced emcee and parade host. She’s hosted the live broadcasts for the ​Livermore Holiday Sights and Sounds Parade, ​Fresno Christmas Parade and ​Fresno Veterans Day Parade. Monique has a certification from the Court of Master Sommeliers, is an experienced wine judge, and has interviewed at least two hundred winemakers, dozens of top chefs, and top celebrities like Jennifer Lawrence, Nicole Kidman and Kate Hudson. Monique is also a trained SAG/AFTRA actor and can be seen in various films, television shows, plays and commercials.